Sha­ka Pops are Hawai­ian ice pops hand­made on Maui in small batch­es with the fresh­est island ingre­di­ents and alo­ha spir­it. Our intense­ly fla­vored frozen treats are loaded with whole fruit, fresh­ly squeezed juices and just a touch of nat­ur­al cane sug­ar. We work close­ly with local farm­ers, pro­duc­ers and dis­trib­u­tors to help sup­port our agri­cul­tur­al com­mu­ni­ty, pro­mote a health­i­er lifestyle and low­er our car­bon foot­print. Ice pops have a long his­to­ry in Mex­i­co dat­ing back to the 1940’s, where they are known as pale­tas, or “lit­tle shov­els” because of their shape. Made with fresh fruits such as man­go, water­mel­on, pineap­ple, cucum­ber, coconut, and lime, pale­tas also include dairy-based vari­eties that are some­times cov­ered with choco­late or nuts. Sha­ka Pops cel­e­brates the boun­ty of Hawaii by offer­ing a wide selec­tion of trop­i­cal fla­vors and clas­sic com­bi­na­tions to please every palate. Our ingre­di­ents are sourced from local farm­ers and pro­duc­ers when­ev­er pos­si­ble to ensure the opti­mal fresh­ness and fla­vor. Although we enjoy a year-round grow­ing sea­son, we expe­ri­ence dif­fer­ent sea­son­al peaks, so some fla­vors change through­out the year. Made with the high­est qual­i­ty nat­ur­al ingre­di­ents, Sha­ka Pops do not include any preser­v­a­tives, sta­bi­liz­ers, or fillers. 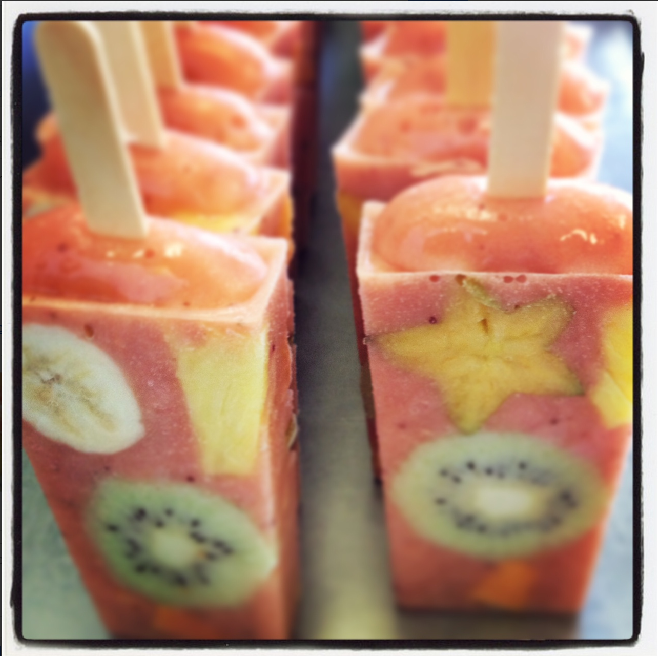 Due to their per­ish­able nature, Sha­ka Pops are made in small batch­es 3–4 times a week.